Aerospace Components Billet Aluminum Battery Mounting Brackets hold it down with style! Each battery mounting bracket is crafted from bright machined finished billet aluminum. 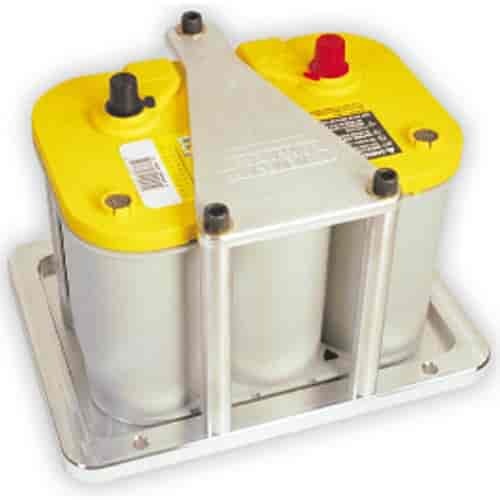 Aerospace Components offers many styles of battery mounts to choose from. Made in the U.S.A.
What are the dimensions of the actual tray? Need to make sure I can mount it in the existing tray.